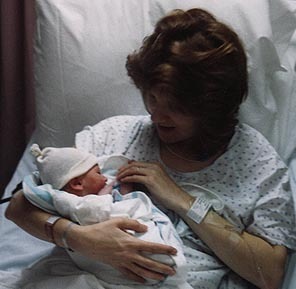 This is the first time I held Jake after he was born. I was busy checking out his fingers and toes. Guess I should have been checking his ears, huh?